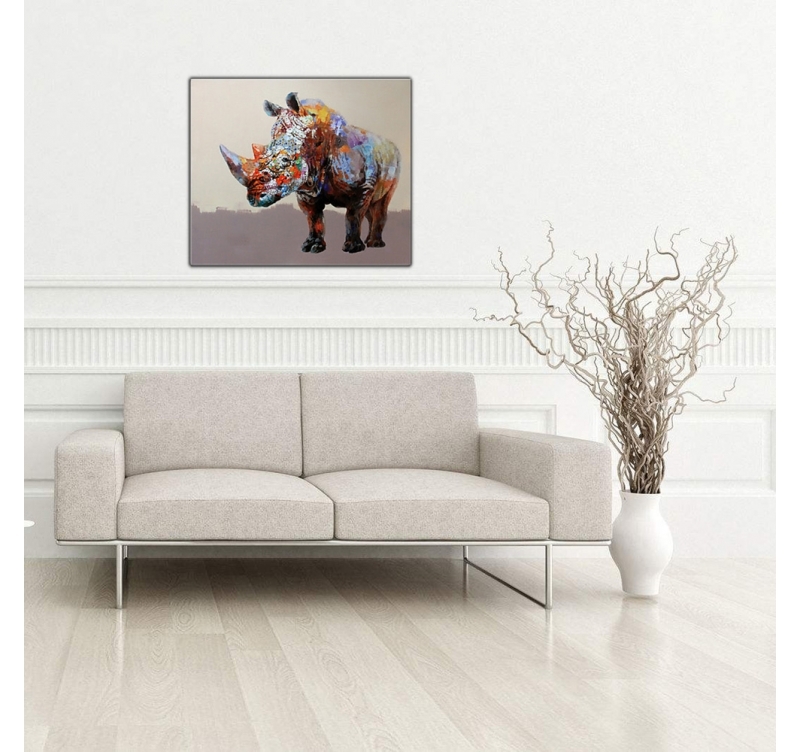 Feel the power of the rhino with this trendy paint canvas. This animal paint canvas is entirely brush painted by our artists. 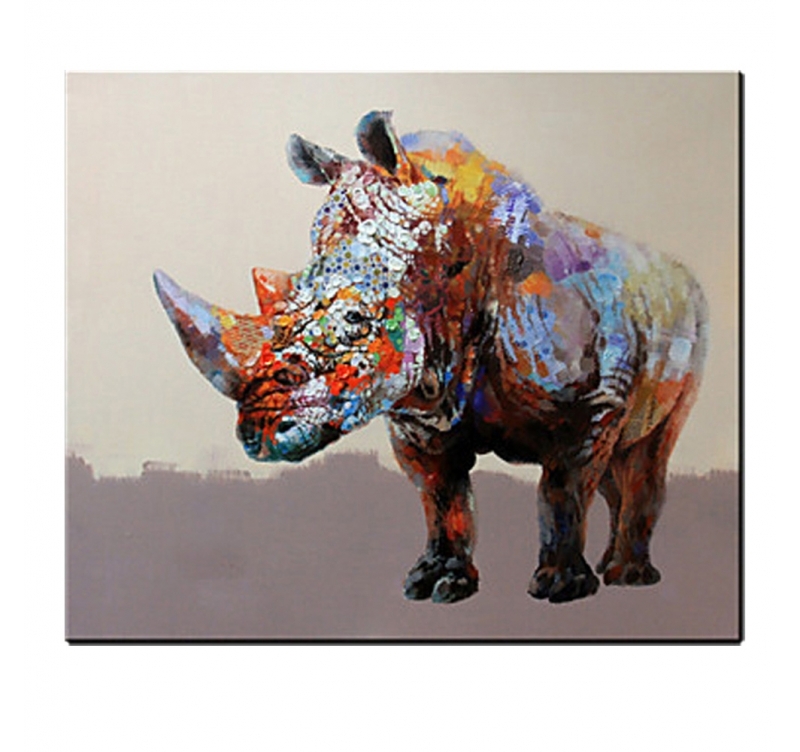 This paint rhino canvas is 70 x 60 cm. Free 48/72 h delivery in metropolitan France and Belgium for this deco canvas. Calm and impressive… Those are the adjectives qualifying best this contemporary rhino paint canvas. Better than the real thing, our artist has coloured the animal’s head with his brush to give relief to this design paint canvas. A natural strength comes out of this original wall canvas and it will be felt in your lounge once on the wall. 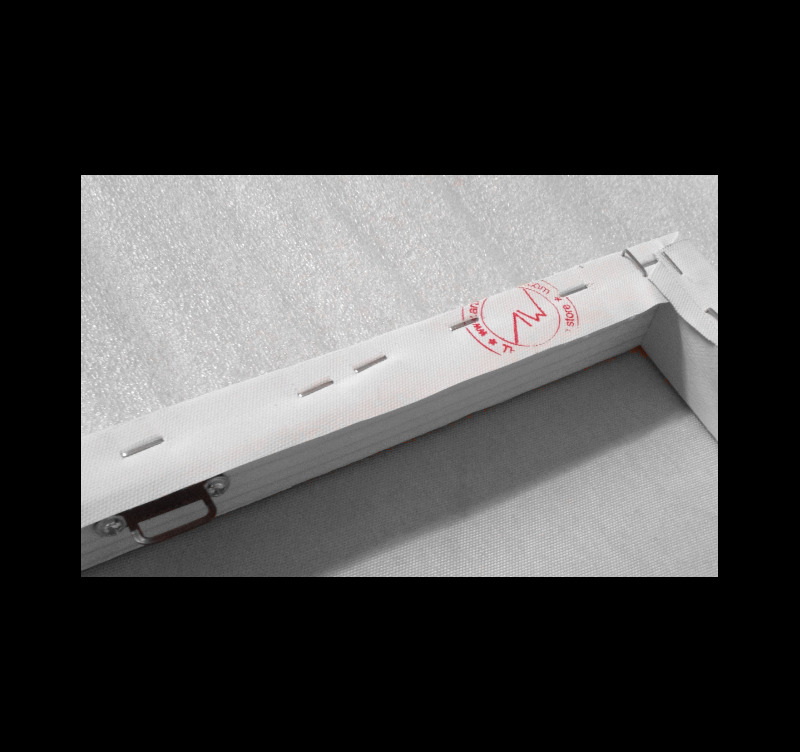 This nature paint is stretched on a wood frame with a hidden easy hanging system. All the modern canvases of the animal paint canvases category are hand painted by our Artwall and Co artists.